"It means victory vine in German" explained the girl in the tasting room, visibly excited. She must have highlighted that bit of information in bright yellow in the study guide management gave her at the beginning of the season. She was correct, of course. And she had piqued my curiosity, for as a wine amateur, I'd never heard of this grape varietal before. In the event, Siegerrebe turned out to be a pleasant white similar to Gewürztraminer (another one of these Germans! ), and it made for just one of many pleasant surprises. For this episode is still set in Canada, due west from where the last post had left off. After climbing the peaks of the Rockies, we'd continued towards the setting sun, and towards a region in British Columbia's interior that I had heard many good things about. 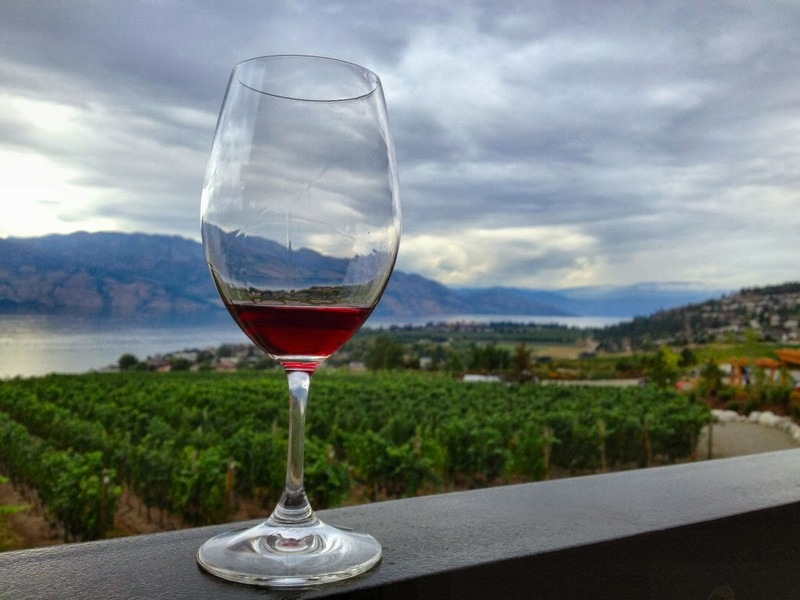 Notably that the Okanagan Valley has some of the mildest climate in the country, and consequently does not feel very Canadian at all. If Alberta's mountains had reminded us of the alps, the wide open valleys, shining lakes flanked by vineyards, majestic chestnut trees and fragrant lavender bushes now made us think of Ticino, or possibly the shores of Lake Geneva. Even more so than the Maritimes, this facet of Canada defies common stereotypes. In the best of ways, of course. 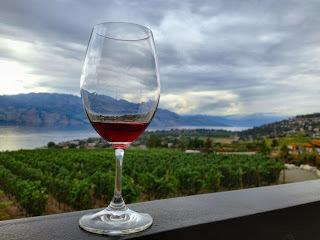 We headed out from Kelowna, a pretty yoga-and-granola city with endless sandy beaches, and tasted our way through the various vineyards in the vicinity. Over the past few decades, the trend to produce high-quality wines in the Pacific Northwest has taken a firm hold of the area, and while the Okanagan's yields are still too low for its wines to be widely available outside the province, both the reds and the whites we sampled were of very respectable quality. Much to our enjoyment, some of the wineries had not just built tasting rooms, but small gourmet restaurants as well. Settling in for dinner in one of them, overlooking Lake Okanagan and discussing how much it resembled the Lavaux, it only seemed natural that the maître d' greeted us - in Swiss German. She'd arrived many years ago, and agreed with us that this was a very livable place. By the time we jumped into the lake's clear waters the next morning, just like we used as teenagers on our discovery trips across Switzerland, I'd firmly fallen in love with the area. Only half jokingly, we started to evaluate the cottages and houses along the shore for their suitability as holiday homes. That particular plan may have to age for a few more years. The bottle of Siegerrebe, however, is now in my fridge here in Montréal. And if things go to plan, I'll have an occasion to treat myself to the victory vine tomorrow. Cheers!